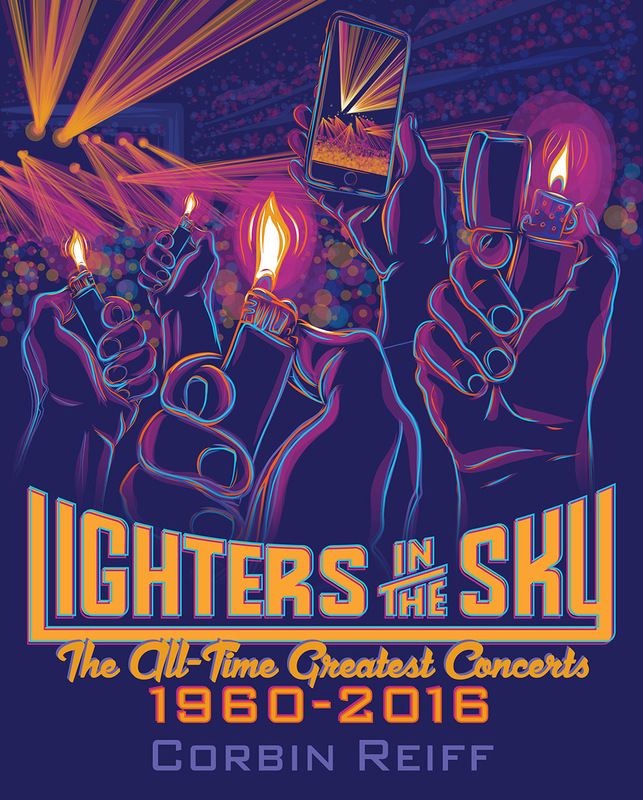 Lighters in the Sky is a year-by-year account of the best concerts of all-time. Those transformative shows that make you say, “I wish I’d been there!” It’s a book that highlights transcendent moments from music legends, from the King of Rock ’n’ Roll and the King of Pop to Queen and Queen Bey. These shows made jaws drop and changed music history. Each concert narrative makes readers feel as if they’re at the show, experiencing the excitement as it happened. Have you ever wondered what it’d be like to witness the Beatles at Shea Stadium, Madonna in Rome or Kanye West at Coachella? There are heaping servings of classic rock, rap and pop, but the scope of artists and genres is vast and there’s something for music fans of all stripes. There are dozens of music icons, including Bob Dylan, Jimi Hendrix, Bruce Springsteen, the Rolling Stones, Led Zeppelin, Prince, Nirvana, Green Day and Jay Z. Relive festivals that changed music history, including Monterey Pop, Woodstock and Lollapalooza.